In the box: the projector, a thick power cable (1.50 m excluding the plug), a short AV cable with standard RCA plugs (red and white for audio, yellow for video), a remote control, and a short manual in six languages: English, French, Italian, German, Spanish and Japanese. A disappointing omission was the lack of an HDMI cable, necessary to connect the projector to a laptop. I got very poor results, stuttering DVD playback and static noise using an HDMI cable I had, so I bought an excellent gold-tipped new one (AmazonBasics, always top value for the money) and it has made a huge difference. 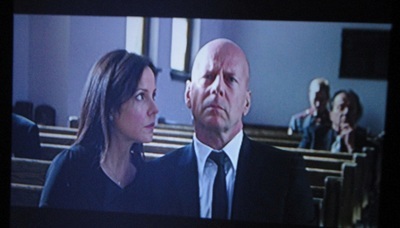 The liaison with my laptop is now faultless with no lag whatsoever; so the quality of the cable seems to be paramount. 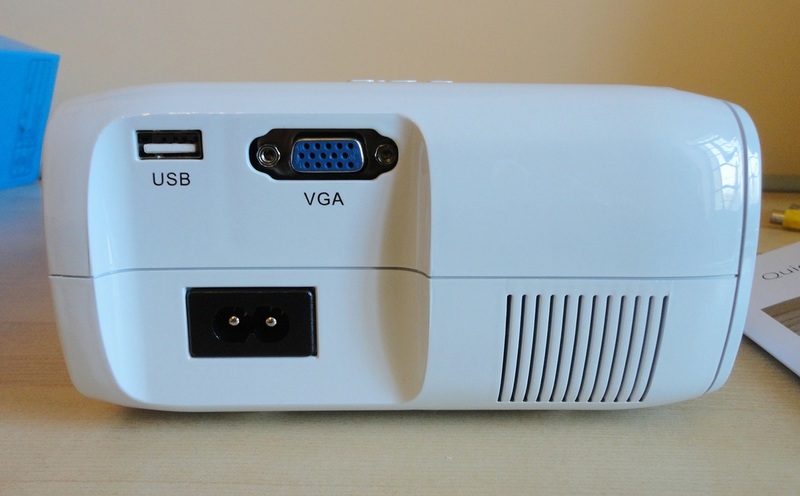 I will add that the HDMI port on this projector is very tight, removing the cable takes some effort! Reading from a USB flash drive and SD card was also trouble-free. Picture quality is well above my expectations, considering the 1000 lumens light output, and best in darkness. There is a whole range of adjustments possible via the various menus. 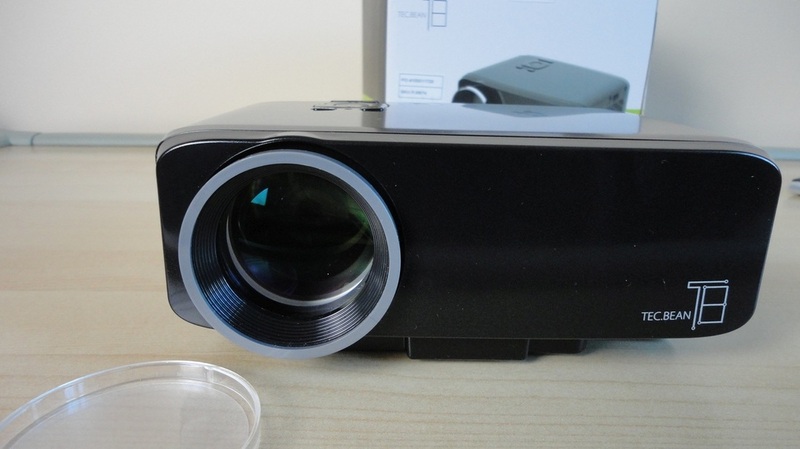 Obviously, you can buy much more powerful projectors if you are prepared to spend more money, but for a portable option at a moderate price, this is a very capable device. It even looks good using a plain wall, but if you have a proper screen, you will get much better results. The recommended distance for optimum quality is 1.7 m, giving a 70 inch image. If you move too far beyond this range (we have tried it up to 2.5 m away), granulation appears and picture quality deteriorates but it is still pretty decent. 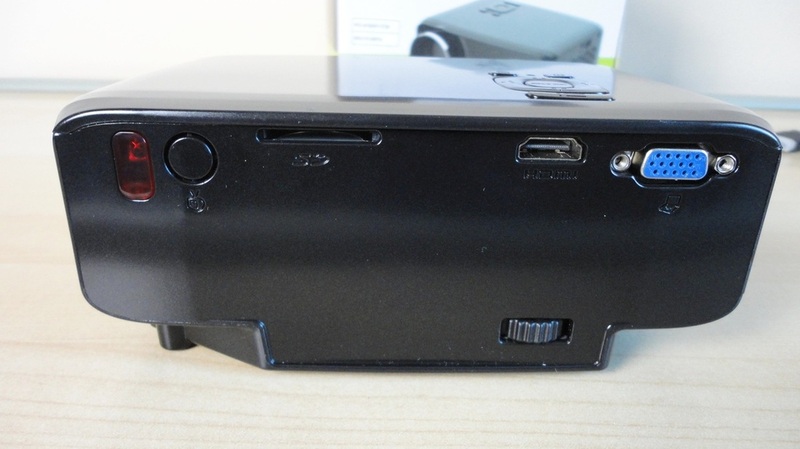 There are various options for connection: HDMI (as mentioned); a USB port (which works like an external drive on a computer, displaying the drive structure); SD memory card slot; AV and VGA. The audio can be routed to a set of headphones or outside speakers. 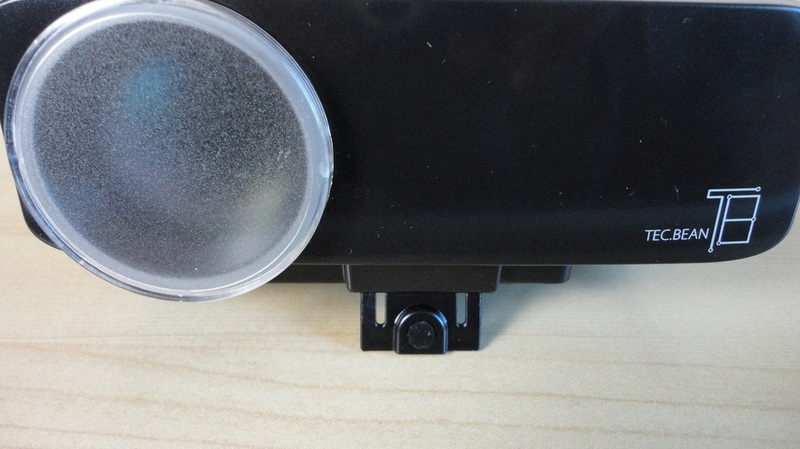 Focus is accomplished by turning a wheel right above the lens and there is a Keystone Adjustment dial at the back to correct screen distortion due to tilting the projector (the front end can be raised by screwing in the small metal foot). The projector makes a bit more noise than I would like (a common issue); on the other hand, the volume produced is not terribly loud. For regular use, I would certainly set up auxiliary speakers. 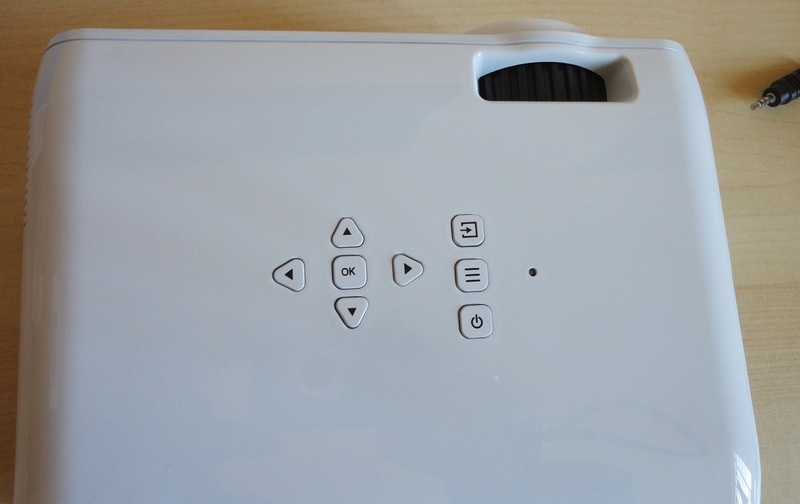 The remote works very well (the IR port is at the back), and the menus are fairly easy to navigate, but there is also a set of basic buttons on top of the unit, as well as the On/Off button. We were sent the white version and I find it very attractive. It's also practical as the shiny finish doesn't show fingerprints so much. If you are looking for an inexpensive but versatile projector that is compact and easy to carry and use, you might want to consider this brand. 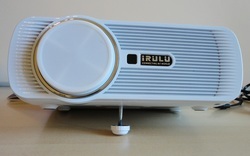 A useful small, lightweight and very portable projector which can easily connect with a range of devices. We haven't had a TV for a long time and I was interested in a way to view DVDs with a larger image than my computer screen. The optimal projection distance for this is probably around 1.60 m giving a picture of about 100 x 70 cm, so not huge but quite adequate. 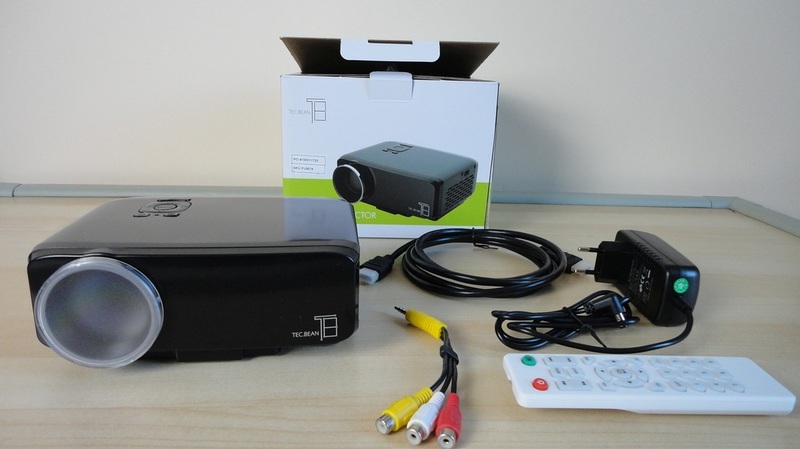 In the box: the projector, power cable (rather short, 1.10 m excluding the plug), RCA cable, HDMI to HDMI cable (1.70 m), remote control, and a very basic manual in five languages: English, French, Italian, German and Spanish. 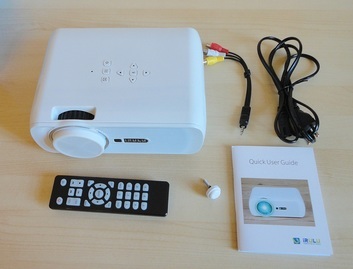 The projector is very easy to use and there are options for refining the picture (contrast, saturation, etc.). Navigating the menus is intuitive and becomes effortless with a little practice. I tested it with the included HDMI cable connecting to a laptop and a desktop pc (both running Win 8.1). The interface is a bit clunky due to Windows' handling of the double screens, but not the projector's fault. I have some reservations about the quality of the computer cable. 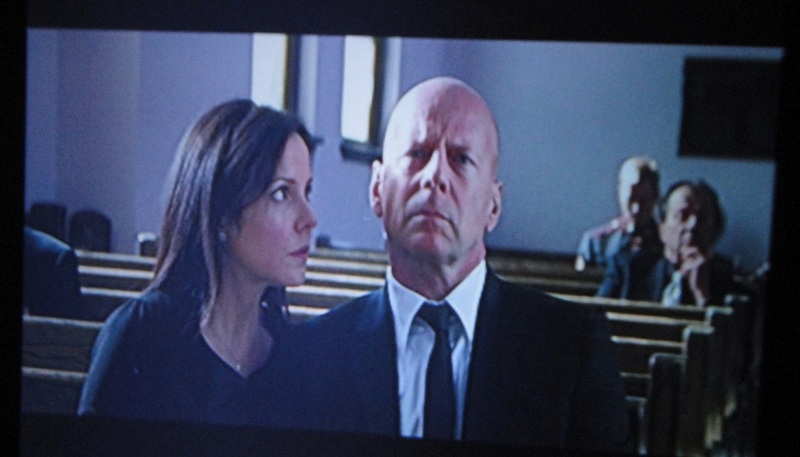 When first connected to my laptop, playback of a new DVD was choppy to the point of unwatchable. I then used another HDMI cable I had just bought (AmazonBasics) and there was no problem at all. Playing video from a flash drive through the USB port was much easier. 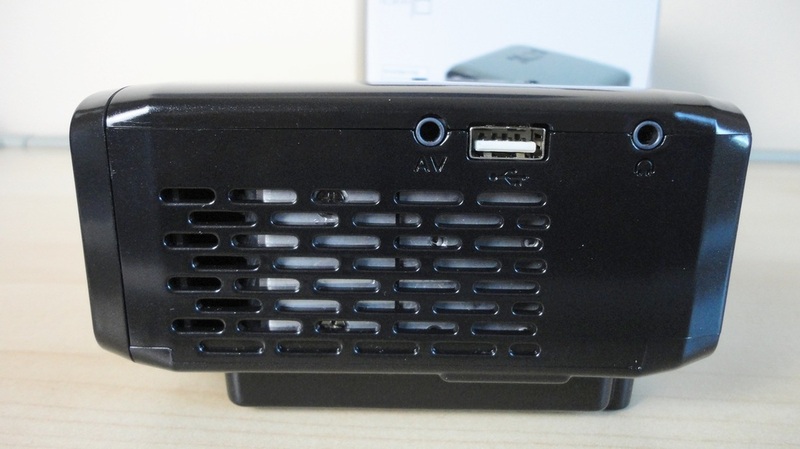 The flash drive is read like an external drive on a computer and the folders are accessible via the remote or the buttons on top of the projector. There is a Keystone adjustment wheel (to correct the screen distortion caused by raising the front end) but it does affect the clarity of the corners. 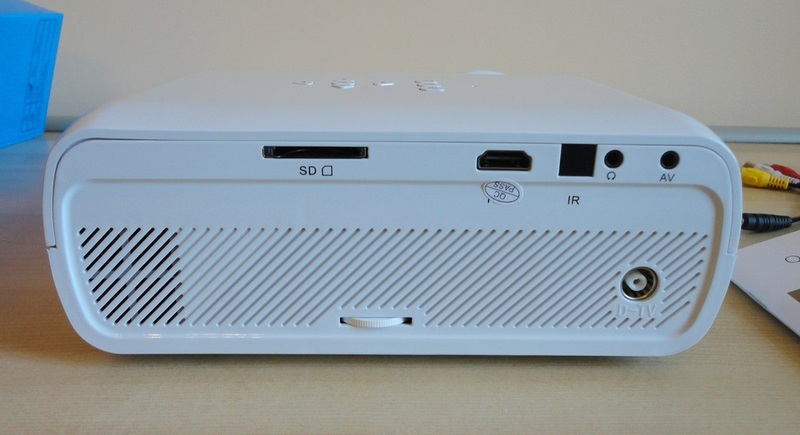 The ports are mostly at the back: a slot for an SD card, HDMI port and a blue VGA. 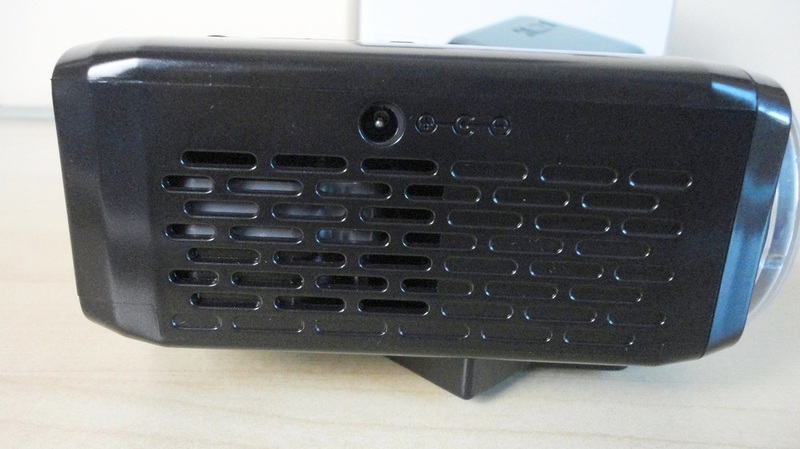 The USB port is on the side, next to the video input and there is a standard 3.5 mm port that allows connection to outside speakers or headphones. This is a welcome option as the on-board audio is limited and not helped by the fan noise. Of course, one has to keep in mind the specs (800 x 640 resolution, 120 lumens which is fairly low) and, on the plus side, the price which makes this an accessible purchase for home use. The makers state candidly that this model is not suitable for business applications. For me the best way to make the most of this cute little projector is with USB drives or connected to a DVD player. I didn't have a suitable SD card but that would also work well. 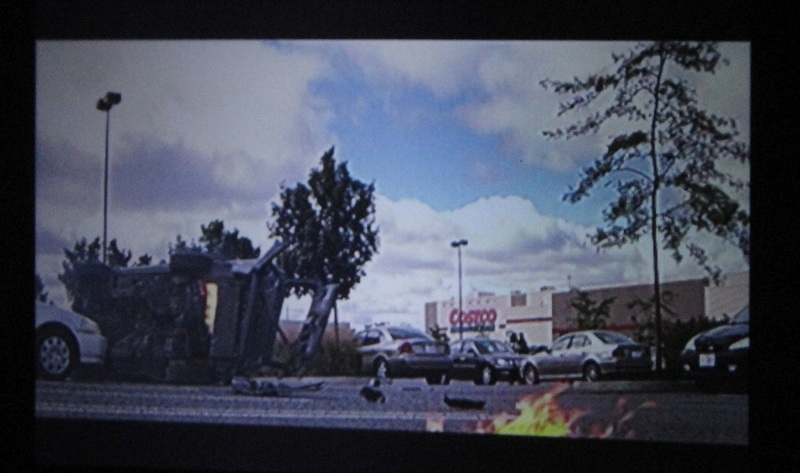 The photos were taken from moving video projecting a DVD onto a beige wall, so I expect one can get a far sharper image with a proper screen or even a white wall and, of course, still pictures would be even clearer. As long as your expectations are not too high, I would class this as a fun gadget for convivial occasions and certainly very suitable for kids.